Hobby Farm > Animals > Backyard Chickens > How long are eggs good for? Ever wonder how long eggs are good for? 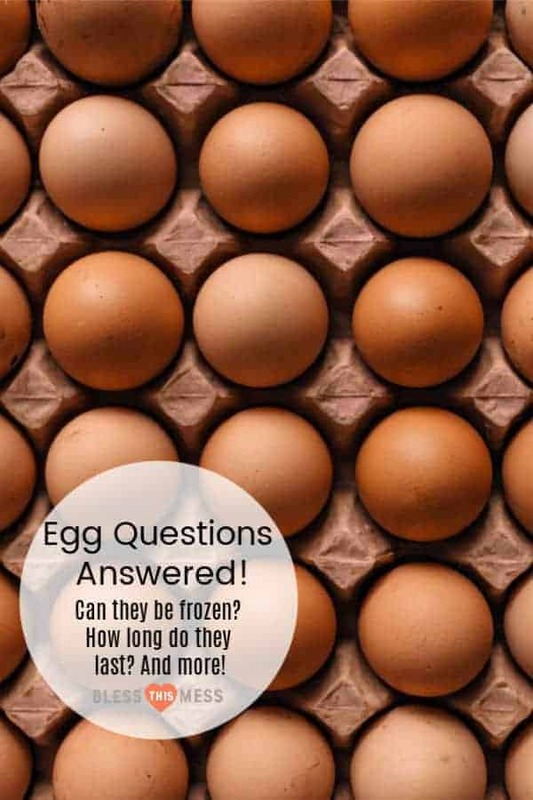 Here’s your answer plus lots of commonly asked egg information including how to freeze eggs, how to store eggs, and more. Eggs are one of our very favorite foods here in my house, and thanks to my chicken ladies, we’ve always got plenty. They’re also a great bang-for-your-buck food – lots of high-quality protein with no carbs or sugar. Plus, they’re super economical, even if you’re not getting them from your own chickens! I love how beautiful eggs are (did you know the color of the egg shell is determined by the breed of the chicken and not what they are fed!). I currently have a lovely flock of backyard chickens that produce greed, dark green, white, light tan, darker brown with speckles, and even light blue eggs. I get lots and lots of questions about eggs so I thought I’d answer some here. We eat them quickly enough that we don’t usually have an issue with them lasting too long, but if you’ve ever asked “how long are eggs good for?” I’ve got you covered. If you purchased your eggs at a store, the carton will have a sell-by date on it that can help you narrow down your window. 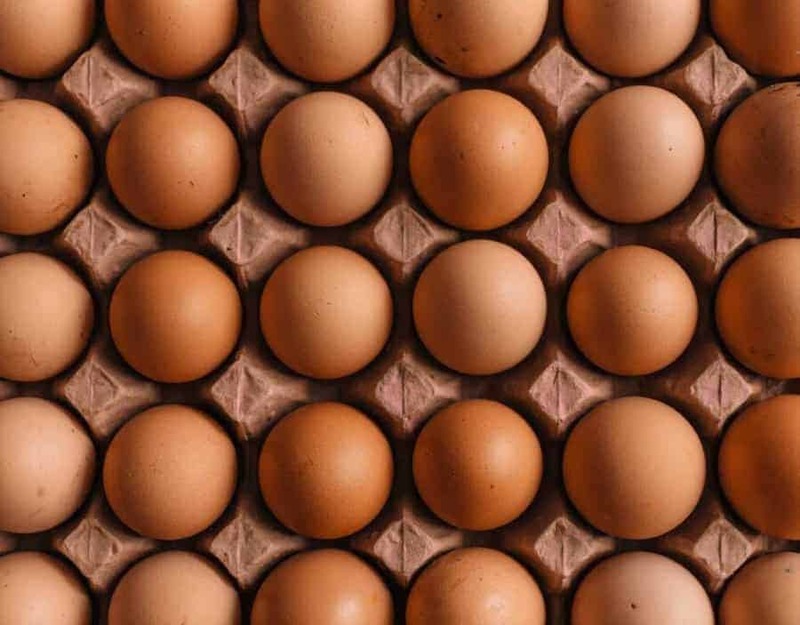 USDA requirements stipulate the sell-by date can’t be any further out than 30 days after the eggs were packed. Of course, a sell-by date isn’t an expiration date. You can usually safely consume eggs beyond that date. As with most things, your senses are your friend here. If you crack the egg and it looks or smelly funky, no matter how old it is, don’t eat it! How long are eggs good in the fridge? According to foodsafety.gov, you can keep eggs in the shells in the refrigerator for 3-5 weeks. Once they’ve been cracked, they only have 2-4 days in the fridge before they start to lose their freshness. To be on the safe side and prevent illness from salmonella, always cook eggs until firm or 160 degrees. Store eggs in the coldest part of the refrigerator – not the door where the temperature is likely to fluctuate. Make sure to store any dish with eggs in it in the fridge. Yes! Make sure you crack them first, though. Crack them and beat them, then freeze them. Ice cube trays are perfect for this – crack the eggs, beat them individually, then pour one egg in each space of an ice cube tray. Freeze until solid, remove from the tray, and store the frozen cubes in a freezer bag. You can easily remove as many eggs as you need without pulling the whole bag out at once! Frozen eggs will last up to a year, so take advantage of those sales and stock up! To use, simple thaw in the fridge until liquid again and use in your favorite recipes or cook as scrambled eggs. How long are hard-boiled eggs good? Once you’ve boiled the eggs, they should last about a week in the fridge. 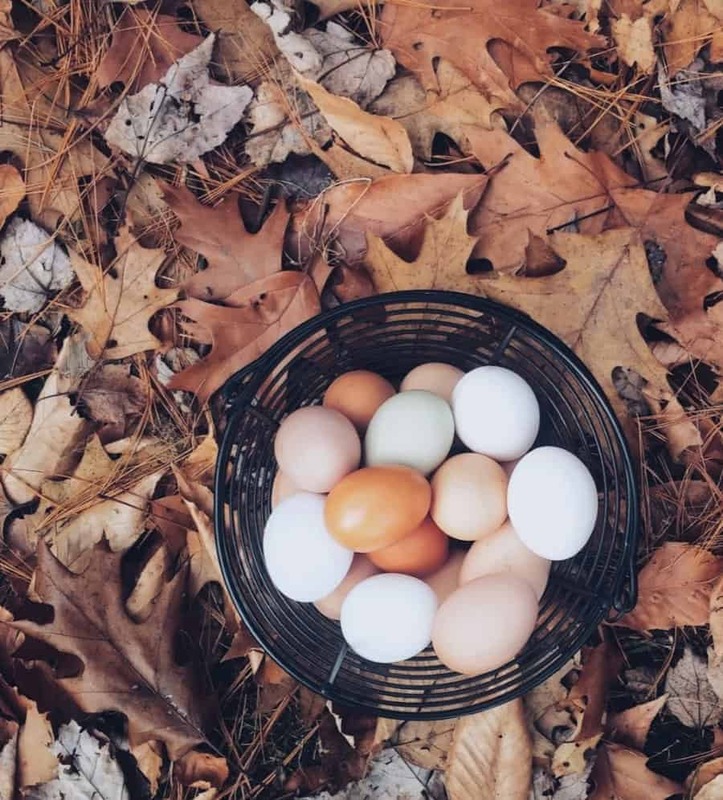 Eggs have a protective coating that gets washed away when boiled, so hard-boiled eggs become more susceptible to bacteria entering through the porous shell. Again – use your senses to detect anything that may seem off. I accidentally left my eggs out – are they still good? Previously refrigerated eggs should not be left out longer than 2 hours. They can begin to sweat at room temperature, which could allow growth of bacteria which can enter through the shell. Fresh eggs from backyard chickens are a different story when it comes you leaving eggs out at room temperature. You can leave unwashed fresh eggs out on the counter for up to two week and stored in the fridge for up to 2 months. Use washed eggs within 3 days and keep them in the fridge. As a general rule, fresh eggs should not be washed immediately after collecting them. There is a natural bloom on the surface of the shell that keeps out air and bacteria. Its important to leave the bloom intact in order to keep your eggs fresh. If your eggs are dirty or have debris on them, try dry brushing them to get it off or wash them and use them first, within 3 days. 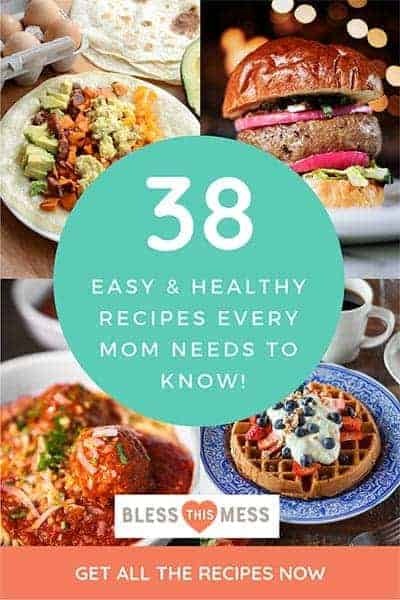 What are my favorite egg recipes? How do you test the freshness of an egg? Give it the float test! Simply fill up a container with water and set your eggs in it. 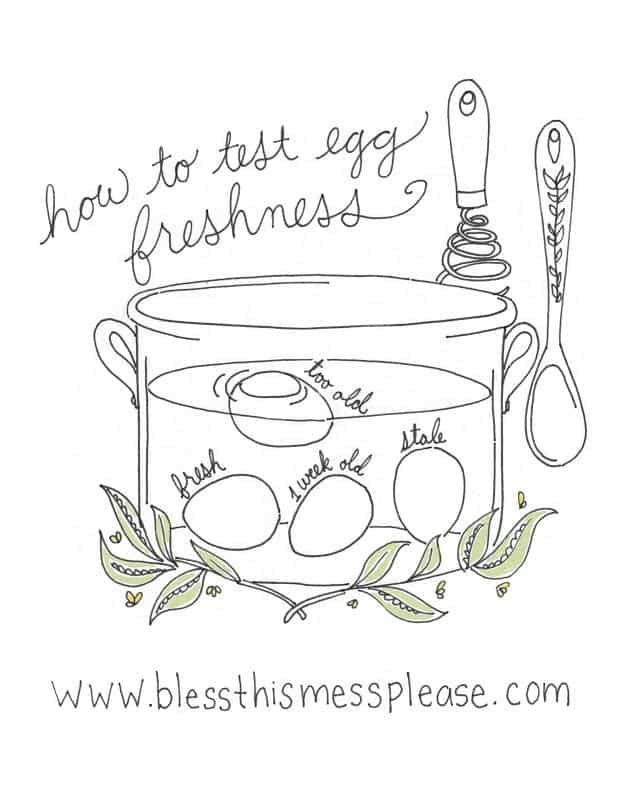 Here’s a gorgeous printable on how to test the freshness of an egg. The older the egg, the more time it’s had for air to seep through the pores. If you are unsure of how old your eggs are, do this test. I throw any away that float off of the bottom of the bowl. 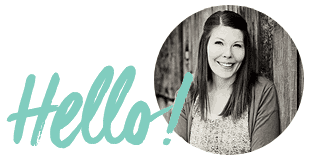 I’d love to hear some of your favorite ways to use eggs – share in the comments below! 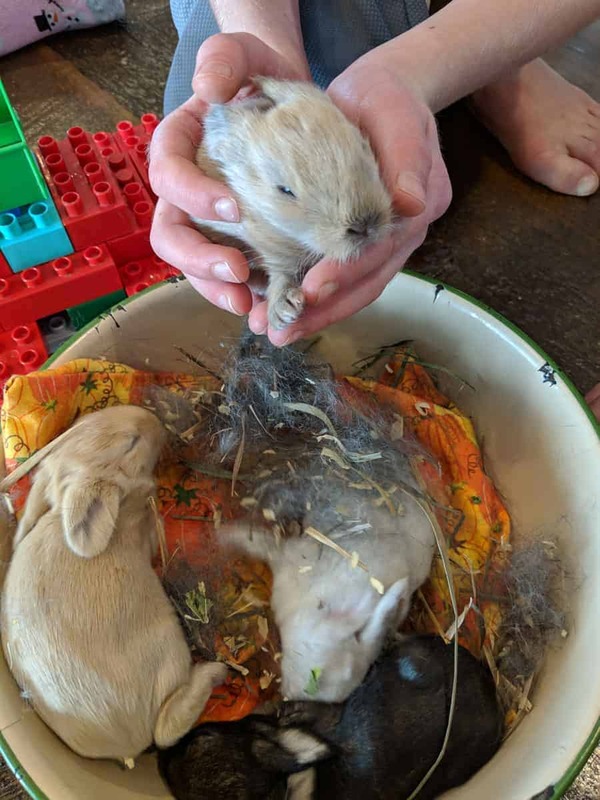 We carefully brought the baby bunnies in to take a closer look at them and fell in love right away. We heated up a rice bag to help keep them warm and didn’t keep them out long. This first introduction was so precious. This picture was taken on January 5th when they are just 7 days old. My how they have grown in just a few short weeks.